Home Culture Can Employers Still Drug Test if Cannabis is Legal in My State? Can Employers Still Drug Test if Cannabis is Legal in My State? The spread of marijuana legalization, while ameliorating many problems, still leaves some unsolved. This is the case when it comes to employers who require that potential employees take a drug screen test. 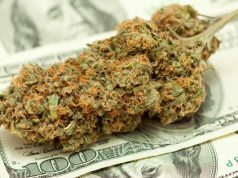 Most people would agree that looking for things like heroin and cocaine use can be valuable to an employer, but what about cannabis? As more states legalize some form of cannabis use and possession every year, gray areas are created where those looking for work can be confused and unaware of drug testing policies. If you live in a state where even recreational use and sales are legal, that doesn’t automatically mean you won’t be denied a job if there is marijuana in your system. All the states with legalized recreational pot have exemptions for workplace drug policies. In Massachusetts, for example, the law includes language stating that “the authority of employers to enact and enforce workplace policies restricting the consumption of marijuana by employees” is not changed. 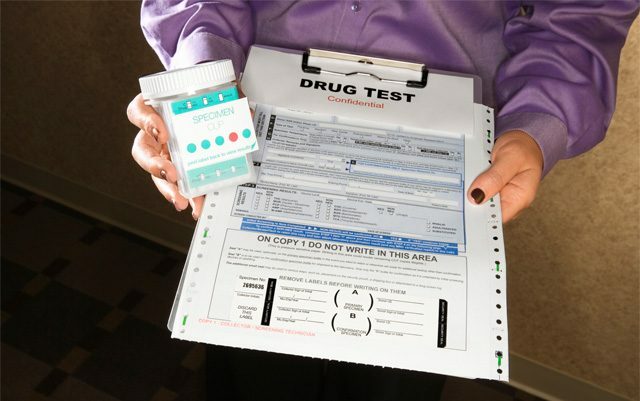 The new law “specifically does not change the legal status between employers and employees when it comes to drug testing and employment,” said Tamar Todd, legal affairs director for Drug Policy Alliance, a national drug law reform group that supported the 2016 passage of Proposition 64, which legalized the sale of recreational marijuana in California. “You can still be drug tested, and you could still be fired by your employer,” she said. In most areas with some form of cannabis legalization, employers still have the right to deny you employment based on cannabis detected in your system, even if you’re technically not “high at work.” So what can be done? One growing sector of the cannabis industry is the synthetic urine market. Many people are deciding that needing a job and being a cannabis user are not mutually exclusive pursuits. This is especially true of medical cannabis users; they are not willing to choose between being able to pay their bills and treating their ailments with a safer alternative to deadly and addictive prescription drugs. Synthetic urine may offer a solution. Even as some states are looking into banning synthetic urine, the demand for the substance is on the rise. Of course, further prohibition doesn’t solve the problem of confusion about the law. It also doesn’t solve the major problem with testing for cannabis in the first place; namely, that if you smoke a joint Saturday night and test positive for cannabis Monday morning, did your cannabis use in any way affect your job performance? I used to think that the Fourth Amendment protected us from illegal searches and seizures and that the Thirteenth Amendment freed the slaves. Apparently, we still don’t own our own bodies and our employers do. Many workplaces will drug test you if you are involved with an accident even if it is apparent that it isn’t your fault. A positive drug test costs you your job, reputation, and benefits even if it does nothing to prove that you were at fault. Reefer madness, propaganda, and the insurance industry win again. What if we blood tested the same people and swabbed their genitalia to see if they had an STD like syphilis that could have been rotting their mind and contributed to the accident? Or for legally prescribed drugs for anxiety, high blood pressure, chronic pain, or anything else that could contribute to moodiness or distraction? What if it is prescribed to you by a Physician? If your employer fires you over a failed drug test for using your medication, isn’t that discrimination? There is federal law Drug Free Workplace Act from 1988. Any employer who receives federal grants or contracts must be clean. Any state can has its own laws and acts for drug testing, some are mandatory, some are voluntary. The main trick is if you signed a contract which clearly states that you agree with drug-testing, there is no alternative. No 2nd or 5th amendment to get you out. Synthetic urine is not illegal substance, but sometimes you cant explain it to people. Everyone can use friend’s urine. What? They’ll ban going to toalet? The greatest reason for being a “retiree”! !